This info has been floating around SpyderLovers.com for some time now but I thought I would give it a home because this is one of those tips that could save you a lot of frustration if you knew about it first. Under the seat on the 2008-2012 Spyders you'll see where you can hook into the battery leads but there's a deep dark secret that when you find out it's to late to turn back. On the right side you'll see the ground cable and what looks like a threaded boss that the bolt goes into. It is a threaded boss but it's the next size up from the bolt and that bolt has a nut on the backside that you can't get to without pulling off some plastic. Some have been able to use a long handle flat blade screwdriver from the underside and wedge it in on the nut to tighten it back up but chances are that's not going to be a sure thing. The real problem is if you make the mistake of loosening that bolt and you don't get it good and tight it's going to give you starting and charging problems later down the road. 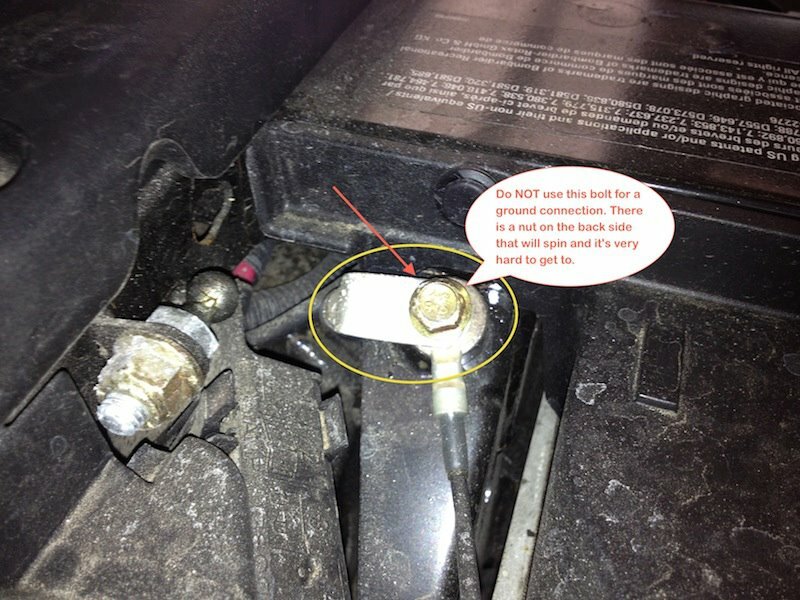 You need to make sure you take the time to get that bolt tight again. In 2013 they changed everything and moved the battery to the front of the Spyder with access from the trunk. This tip only effects the older model Spyders. Here's a pic of the bolt you don't want to mess with.